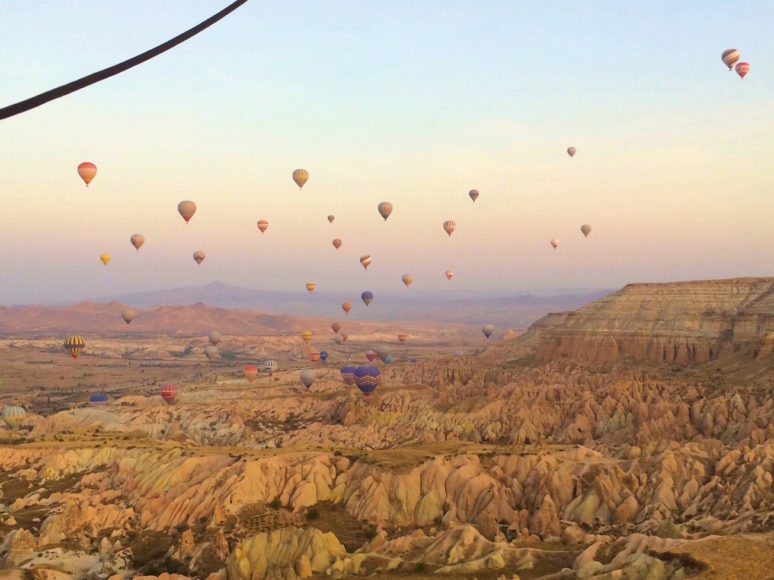 By now you’ve probably seen incredible photos of colourful hot air balloons soaring above a rocky, desert type landscape and although you might not know exactly where in the world these were taken, you’ve added it to your bucket list. Well I’m here to tell you where to see these balloons, how to get there, when to go and 2 ways to get those picture perfect Instagram shots! Firstly, this beautiful place is in Turkey! 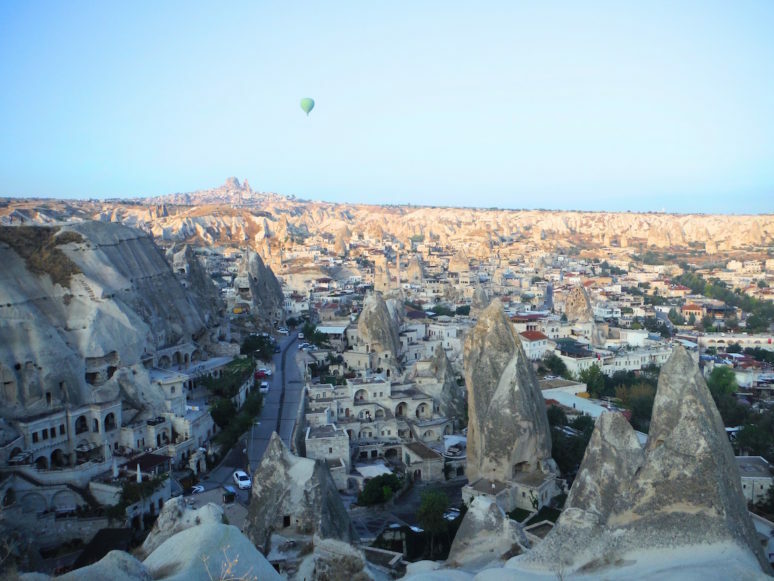 The most famous name and the name you may have heard of before is Cappadocia. However Goreme is the name of the main tourist town. Cappadocia is pretty much in the middle of Turkey, a Country that a lot of people visit for its coastline and the City of Istanbul. Turkey has more recently received some bad press, but rest assured that the majority of time it is safe to visit and if there’s any commotion its unfortunately, usually in the capital of Ankara which is 300km away from Cappadocia (nearly the same distance as London to Paris). Turkey is a big country too, in fact its the 37th largest country in the world so a degree of planning is required to get you to this fairytale place. 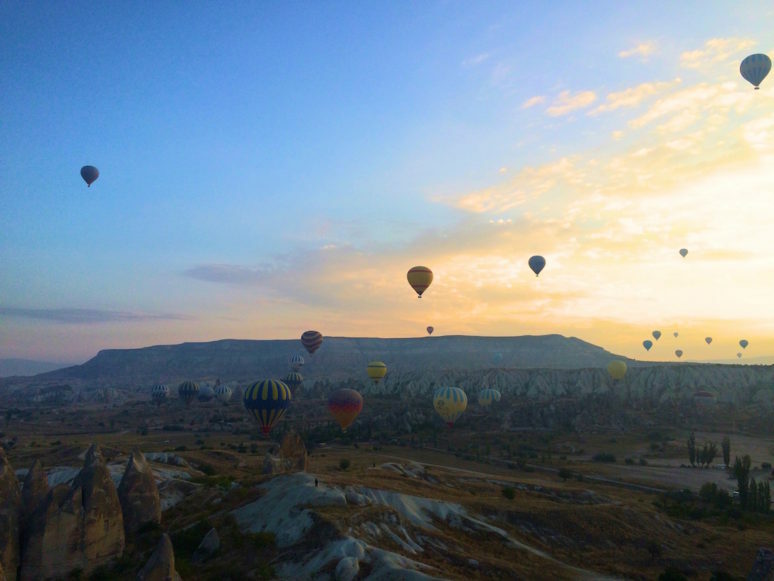 The best option is to fly there and conveniently there are 2 airports that serve Cappadocia- Kayseri Airport (ASR) and Nevsehir Airport (NAV), however Kayseri is an hours drive away from Goreme, whereas Nevsehir is only 30 minutes away so bare this in mind when booking. Flights are extremely cheap into these airports from other parts in Turkey. From Istanbul for example, flights are as little as £10.00-£20.00 from the UK each way depending on flight times, days of the week, when you book etc. From the airports you can get a shuttle bus into Goreme town which I recommend booking online first so you know its booked, however once you’re in the town and going back to the airport, just pop to the bus station and get a ticket there as it will be cheaper, I paid £5.00 to get to Kayseri Airport from Goreme, alternatively you can get a taxi. Overnight buses are also very popular in Turkey, probably due to it’s size. I got an overnight bus from Pamukkale where I had visited the white travertine terraces. Whilst it wasn’t the best overnight bus I have ever taken, I don’t believe I had the possibility of flying from her, plus it was a very cost efficient way to travel between the two spots. Buses leave Goreme to go all over the country and can easily be booked at Nevsehir bus station once you arrive so keep this in mind when planning your trip. 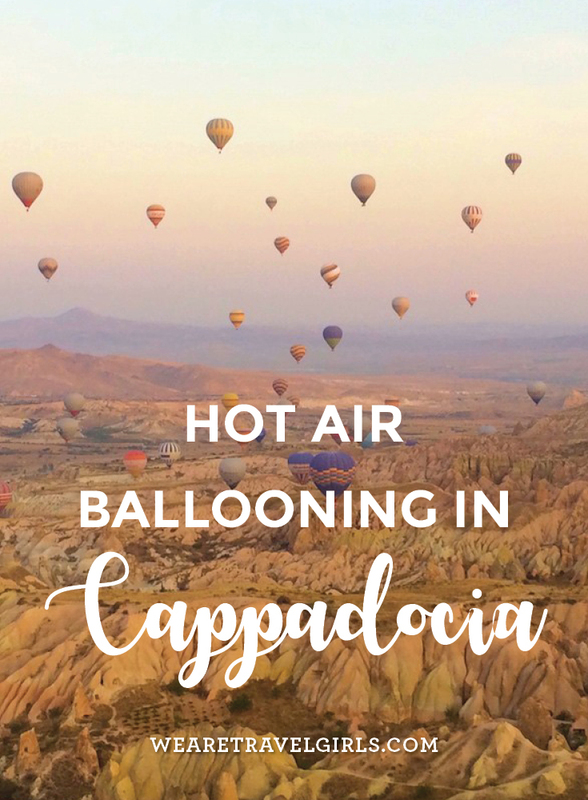 When I was planning my trip I kept seeing the name Cappadocia flying about, but I also kept seeing the name Goreme when looking for accommodation and I got quite confused. To break it down for you, Cappadocia is the region and there are many towns in this region, Goreme is one of these towns and this is the main hub for tourists in Cappadocia. When looking for accommodation search for somewhere in Goreme, unless you are renting a car and then it might be nice to be further out. The town of Goreme is located between the ‘fairy chimney’ rock formations that make up this landscape and give this area such a unique look and trust me it does feel like you’re in a fairy tale! A lot of the hotels, restaurants etc are built into these rocks so it’s totally possible to get a rock room! I stayed in the Diamond of Cappadocia hotel and got a lovely private double room for £15.00 including breakfast. There where was also a rooftop area, proving that not only is this place beautiful, it can also be visited quite cheaply. There’s a huge range of budget and luxury accommodation and if you have a bit more money to spend I would 100% recommend getting a place with a balcony or a rooftop so that in the morning you can see the balloons rising up in to the sky at sunrise, think big white duvet, rooftop and balloons soaring above you! 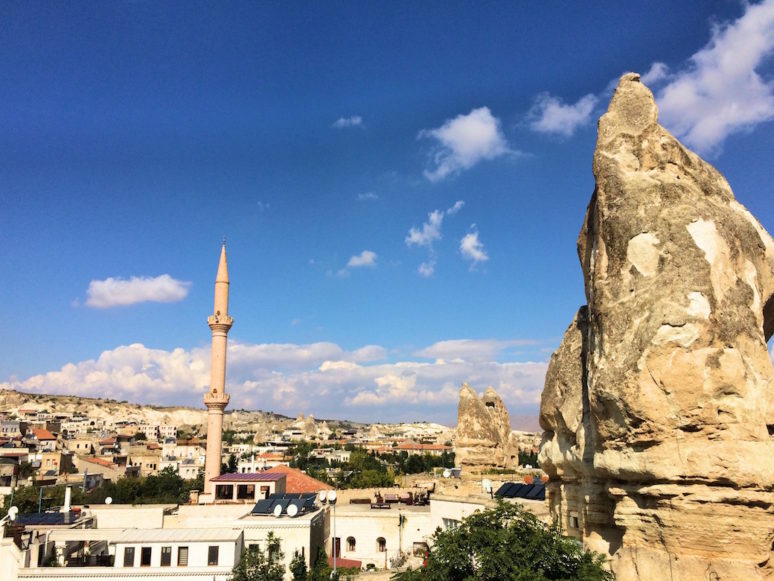 Other hotels such as the Sultan Cave Suites, Museum Hotel, Rox Cappadocia, Artemis Cave Suites and Yunak Evleri Cave Hotel have all become very popular on Instagram as the place to stay when visiting Cappadocia. Many of the hotels are built into the rock fairy chimneys and as such rooms are in a series of caves. Watching the sunrise from a hotel rooftop is a magical experience, so pick your hotel wisely! 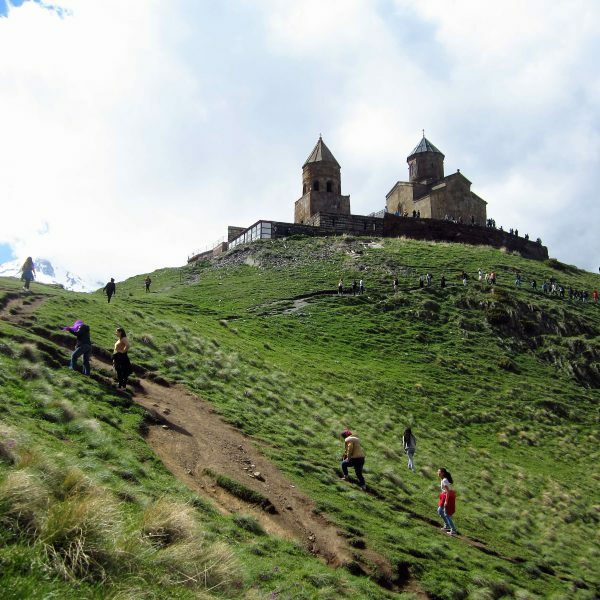 In terms of when to go, high season runs from May-September as this is when the weather is best, not only on the ground but also for the hot air ballooning, like anywhere though, remember that high season means a lot of people and a potential hike in prices. I went at the start of October which I found to be a great time! The mornings were quite cold, but the days were warm and although it was still busy I could tell it wasn’t peak season which I liked. 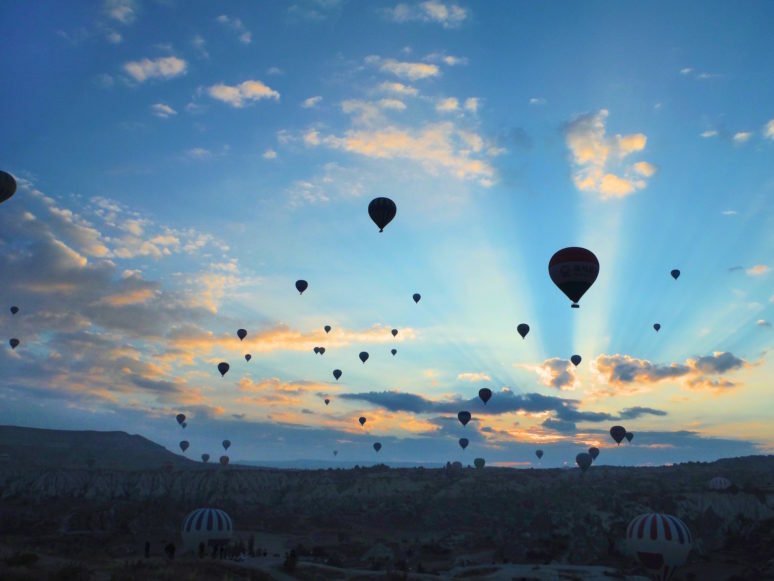 The hot air balloons run all year round, but because they are weather dependant you may face cancellations between October-April so do bare this in mind and perhaps plan to stay a day or two longer so if your flight is cancelled one morning, you can go the next. It does snow in Cappadocia too and if you google ‘Cappadocia in Winter’ you may find that visiting in winter looks like the dream time to go! No matter when you go, I recommend that you spend at least 2 nights here and I would say that 3 nights would be the perfect amount of time. This way you can see the balloons in 2 ways! Firstly you can see them from the ground, if you’re on a really tight budget or perhaps you’re not a fan of heights then don’t rule out coming here as seeing them from the ground is an amazing option. As I mentioned above, if you’ve got a rooftop or a balcony and can roll out of bed and see them from there then great, get yourself comfy and be prepared for an hour of beauty. If this isn’t an option or you just want to get to the highest vantage point you can jump out of bed early and head up to ‘Sunset Point’ which is in the centre of Goreme. It’s a bit of a walk uphill, but the adrenaline and excitement should keep you going. 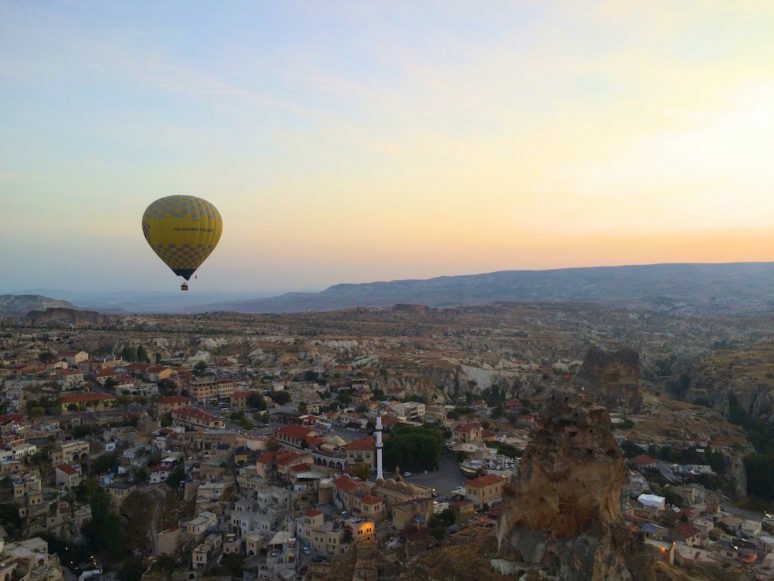 From up here you’ll be able to see an amazing view of all the balloons in the sky flying right above you, you’ll see the sun rise up into the sky in the distance and as it gets lighter and lighter the town of Goreme below you comes alive! 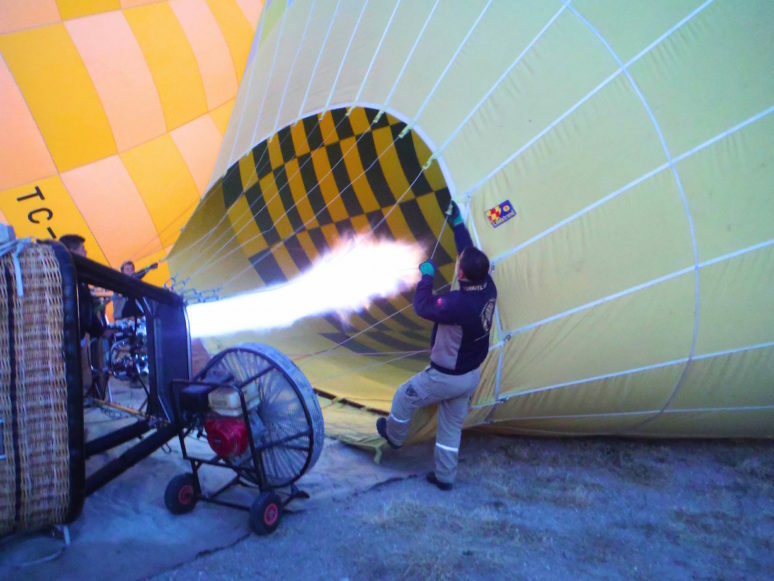 Your second option is of course to take the hot air balloon ride. As you can imagine there are tons of places that sell this trip, both online and once you’re there. 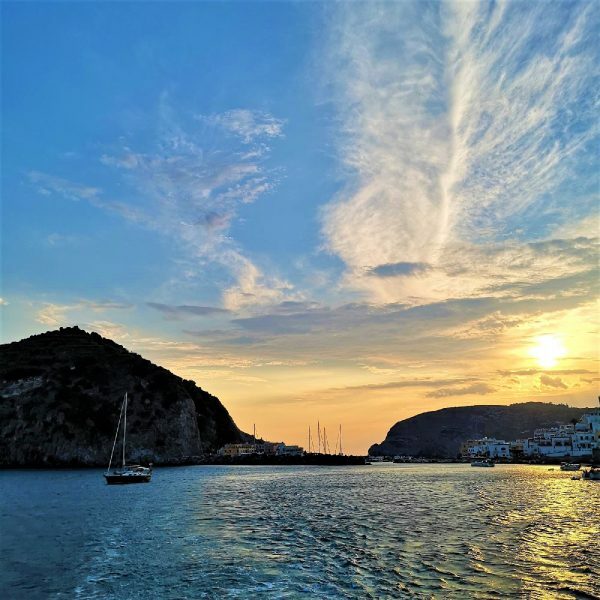 I always recommend waiting to purchase trips like this until you arrive at a place as often you will pay more online, however make sure you research the company still so you know you’ll get a good service for this once in a life time opportunity. I was picked up at 5:00am from my hotel along with the rest of my group (pick up times vary depending on the season and what time the sun rises), we were taken to a hotel for some breakfast and some well needed coffee whilst the drivers waited to hear where we would be taking off from as it all depends on the direction of the wind. Once this was confirmed we got back into the mini bus, by this point I was a lot more awake and the excitement and anticipation was really building! As we arrived at the take off point, 3 big balloons were being blown up which made it feel very real! 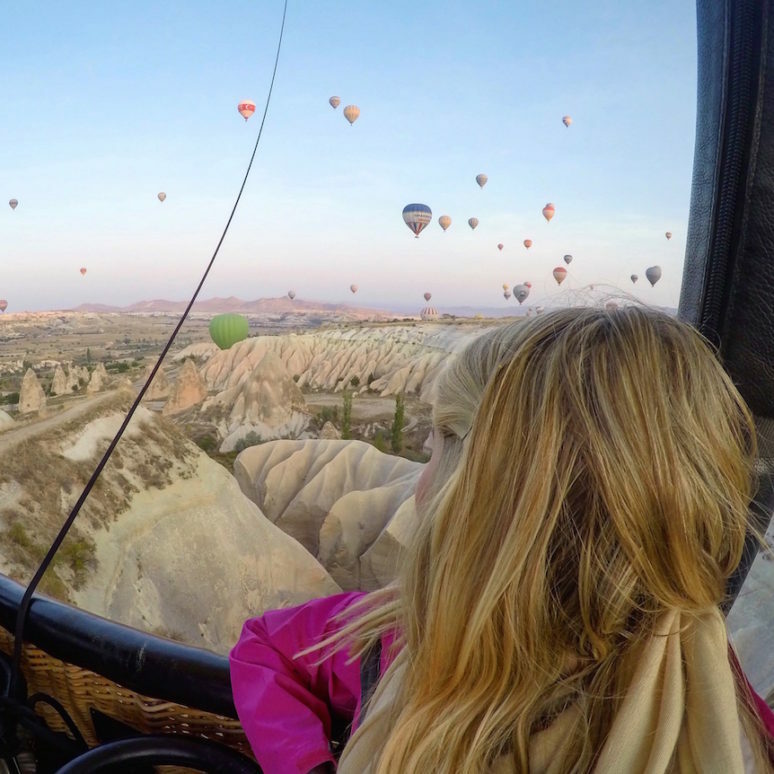 Once the balloons were fully up, we climbed into the basket and took off gently into the dark morning sky. Once we were a bit higher we could see the sky getting light in the distance and the sun starting to rise out of the ground, such a beautiful and surreal experience. We flew over sleepy villages and huge rock formations as the sky became lighter and lighter every second. With so many balloons in the sky all around us it felt like an absolute dream. We were in the air for about an hour which was enough time before the pilot brought us back down to the ground. 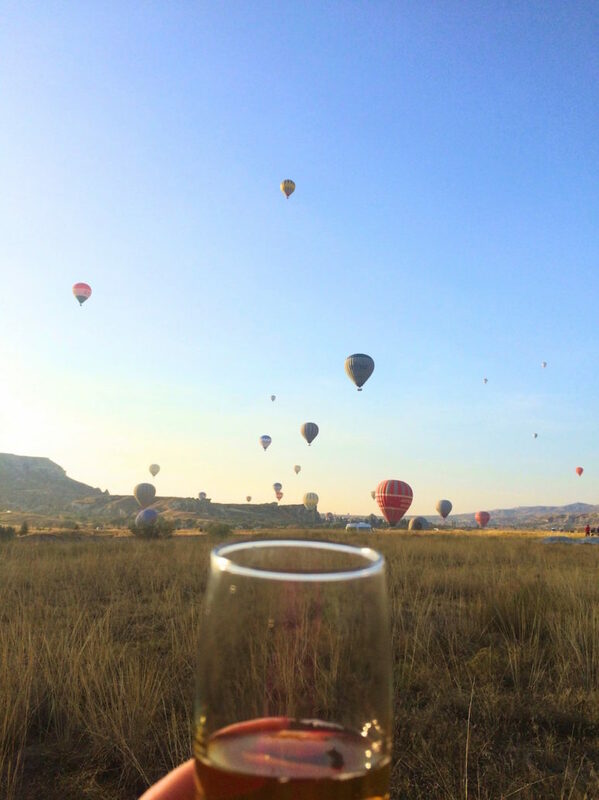 We celebrated an incredible morning with a glass of bubbles whilst watching the remaining balloons in the sky. 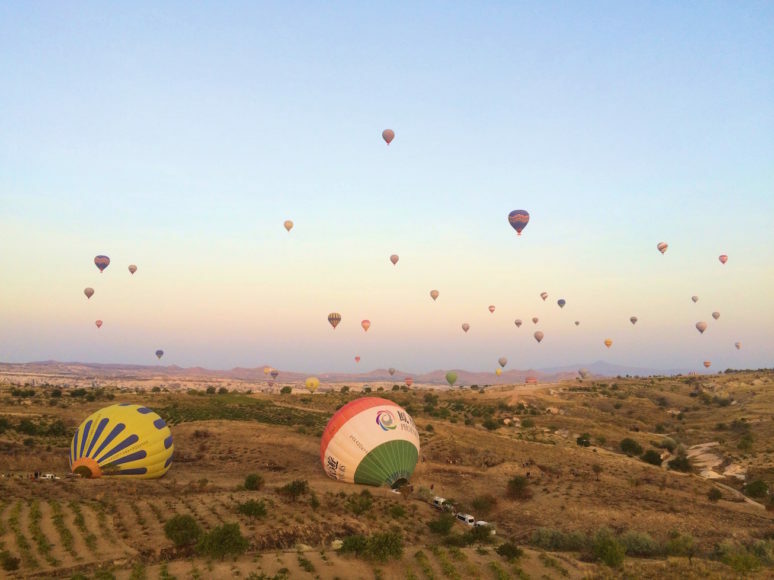 We hope that this article has inspired you to visit Cappadocia If you have any questions about the destination or have your own travel tips to share please leave these in the comments below. This really does look like a dream! Plus you’re so right, I always see similar photos on Instagram but have no idea where they are taken, I just assumed they were at hot air balloon festivals all over the world! Thank you for such a detailed post, it was really helpful and I hope to get over there some day. So is it every morning the balloons go (apart from in poor weather)? And always at sunrise? You’re right, I see these photos all the time on Instagram and Twitter, know where it is, but not seen details, like the best way to get there! This is a very informative post so thanks for sharing…it’s shot up my travel list to much nearer the top now! Thanks for reading Tilly, glad you found this post informative and interesting. Look forward to seeing your own pics when you go! Thanks for reading Jenni, glad you liked the post! Great post Ellie! Gorgeous photos! 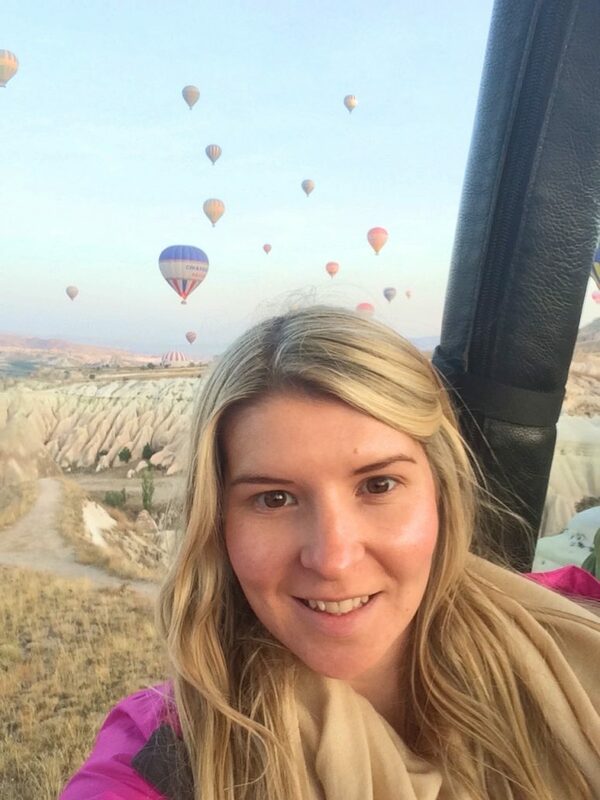 Wow lovely post of Cappadocia tours hot air balloon. Really its a very adventurous tour. Cappadocia boasts is one of the most magical and breathtaking dramatic landscapes in Turkey. Enjoy your trip with istanbuldaily-citytours.com. Thanks for commenting Kendra! 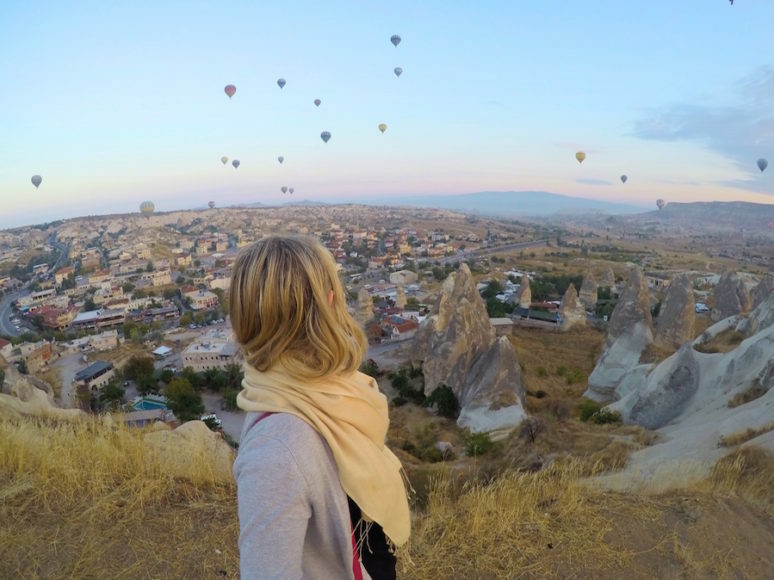 Yes, Cappadocia looks truly magical. We hope to get to go ourselves one day! I have to do this! Definitely one for the bucket list! 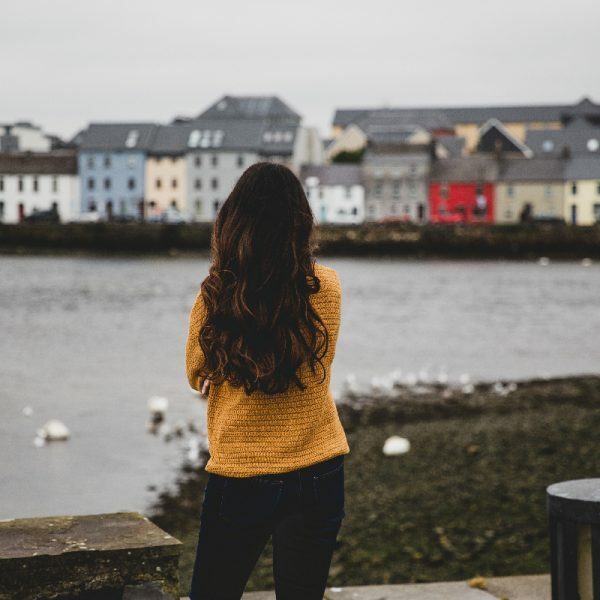 Thinking of starting a new bucket list feature on my blog – this will be perfect! Thank you! This is great! Im planning a year trip around the world, and i have to add this to the list! Oohhh I’ll be on the lookout for that getaway then! wow, awesome post, thanks for sharing. I’ve booked my trip woot woot!! I’m so stoked for this trip. This is going to be the highlight of our trip to Turkey in April. My question is do we need a winter jacket for Cappadocia in April?